In a future world that has largely overcome the problems of the 20th century, a woman discovers she has ties to a British psychopath and a Brooklyn-born hacker, neither of whom she has ever met. The three are actually the surviving subjects of an artificial reincarnation experiment, and the victims of a conspiracy with ancient origins. 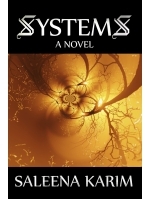 – Systems is a visionary sci-fi thriller that asks questions about humanity’s potential and the possibility of an ideal society. 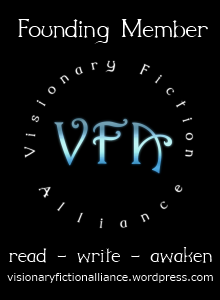 The story is primarily set in a fictional city (Hadescape) in New York. – The ‘Cohesive Ethics Theorem’ at the heart of the novel, which is used to create a model for an ideal society on a supercomputer, is a factual concept. It reflects the philosopher Iqbal’s statement that an ideal society actively aspires to transform the three ideals of ‘equality, solidarity and freedom … into space-time forces … to realise them in a definite human organisation’. The core story of Systems is also loosely inspired by the original intentions of Pakistan’s early leaders to try new social systems in line with the philosophy of Iqbal, the ‘spiritual father’ of Pakistan. In 2012, Systems became a part of the reading material in a series of education courses on Iqbal at the Marghdeen Learning Centre (an educational body of Iqbal Academy, Pakistan). 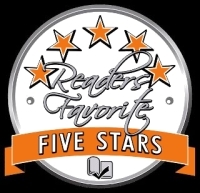 In 2013, Systems also won a Finalist Silver Medal at the 2013 Next Generation Indie Book Awards in the USA. Elise Archer is a hard-nosed British policewoman with psychic abilities. She also happens to be a reincarnated terrorist in denial. When Peter Manner escapes from a local psychiatric hospital and begins a murder spree, Elise makes the chilling discovery that he too is a psychic … and in another life he was her friend. Manner is on his way to America, where he and she both mysteriously disappeared thirty years ago. By complete coincidence the global police organisation GAILE has just reopened their case, and needs her help. But is there such thing as a coincidence? Follow Elise on her journey as she confronts the truth about her past life, why she was killed, and most importantly, why she was brought back to life. Because soon she will come to question reality itself. This is the story of the Systems Experiment, and the fight – literally – for liberty and justice. I learnt about you from professor Rafi, who also has forwarded your E-mail containing this website. do send me your E book, I will try and send back my review. Wish you good luck in marketing of your novel. Thanks sir and welcome – you can download from here but I will also send you an email in a short while. Is the “Systems” available in India? though the kindle edition is available at amazon.in, I would love to own a paperback (or hardcover) if available! Yes it is. I’m sending you an email in case you miss this, but it is available in paperback at Amazon.